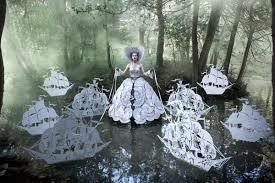 Today, I invested in Kirsty Mitchell‘s The Wonderland Book. As a huge Alice in Wonderland fan (I even had an Alice in Wonderland-themed birthday party this year! ), I can’t help but stay on top of (okay, scour the internet for) the unique projects that Alice inspires. I’ve been following Ms. Mitchell’s process for quite some time, and am so pleased that her Kickstarter not only went live recently, but became the most-funded Kickstarter project in the history of Kickstarter! That’s hardly surprising considering the beautiful story behind the book, the gorgeous photographs, the attention to detail paid by both Ms. Mitchell and her publisher, and of course, the popularity of Alice. This project pays homage to Ms. Mitchell’s relationship with her mother, who passed away a few years ago. It is part of her grieving process, and a true expression of her familial love as well as her dedication to her craft. She says she prefers to be called an artist with a camera because she designs all of the costumes and sets for each photograph herself, which can often take months at a time before even pressing the button to take the photograph. There is still time to back this project yourself. Check out her Kickstarter page, watch the video, and make a pledge. 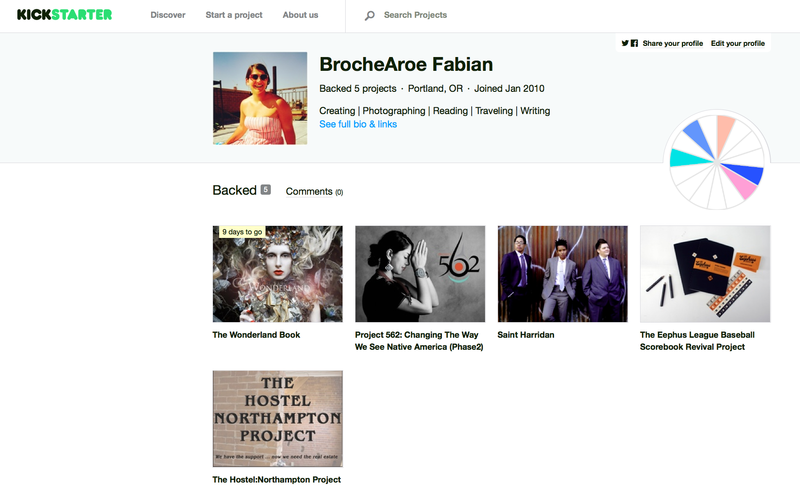 Also, couldn’t help but notice the 5 projects I’ve backed over the years. This is an eerily accurate portrayal of my varied interests. Guess it’s true what they say about putting your money where your mouth is. Posted on September 28, 2015 September 28, 2015 by WildlyLivedPosted in Series: Alice in WonderlandTagged alice in wonderland, books, Kickstarter.